Bremen-based shipping company Harren & Partner and "K" Line, Tokyo, have reached an agreement for Harren & Partner to acquire German carrier SAL Heavy Lift. Bremen-based shipping company Harren & Partner and "K" Line, Tokyo, have reached an agreement for Harren & Partner to acquire German carrier SAL Heavy Lift on 27 July 2017. SAL will become the new dominant player in the super heavy lift segment (900 t to 2,000 t crane capacity). SAL Heavy Lift, founded in 1980 in the "Altes Land" area near Hamburg, is one of the world's leading carriers specialised in the sea transport of heavy lift and project cargo. Its offshore subsidiary, SAL Offshore, develops and supplies installation solutions for the oil & gas and renewables sectors. Part of the "K" Line Group since 2011, SAL has access to a highly flexible fleet of 15 heavy lift vessels and a worldwide network with offices and agencies in 25 countries. "I am very proud and pleased that we have reached the agreement with "K" Line. This is another milestone in Harren & Partner's history. SAL is an eminently respectable company with experienced employees and long-term customer relationships which stands for innovation, quality and technical expertise," says Dr. Martin Harren, Managing Director of Harren & Partner. "We believe that this acquisition will ensure that both SAL and Harren & Partner are very well-positioned for the future. In becoming the new dominant player in the super heavy lift market, we believe this will add strength to SAL and bring with it some much needed pricing discipline." Toshio Yamazaki, CEO of SAL, is looking forward to the new owner and comments on the deal: "We are glad to join Harren & Partner. It's a family-owned company that wants to expand its activities in the heavy lift segment. 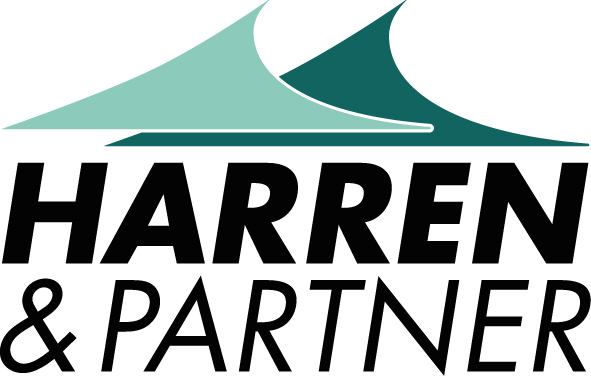 By joining forces, both Harren & Partner and SAL will strengthen their product suites. Customers will benefit from more choices and better solutions." With SAL and Combi Lift, two heavy lift companies now belong to Harren & Partner. "We are aiming for a light-touch integration with Harren & Partner. SAL, with its excellent reputation, will continue to provide its well-known services," emphasises Peter Harren, Founder and Managing Director of Harren & Partner. SAL Heavy Lift will still operate as a separate brand with its headquarters in Hamburg. "There won't be any changes for SAL's clients. Also, the fleet of 15 heavy lift vessels will remain with SAL." Together, Harren & Partner and SAL have a fleet of 26 heavy lift vessels: from multipurpose vessels (300 t crane capacity) and dock ships, to offshore construction vessels with DP2 and a combined crane capacity of up to 2,000 t.
SAL will also manage the CL 900/Type 116 vessels as well as Combi Dock I and III in the future. This will greatly enhance the company's scope of action: From now on, modern world class vessels with Flo/Flo and Ro/Ro capability for the premium project segment will be part of the fleet. Furthermore SAL will have the largest super heavy lift fleet in the industry (twelve +900 t vessels). Justin Archard, Corporate Commercial Director of SAL, says: "This extends our scope of action to develop customised solutions that meet the toughest individual demands. This new format will help us develop even higher standards in maritime transport logistics and project engineering. The new SAL - more of everything." Combi Lift will update its market approach in line with the SAL acquisition. Heiko Felderhoff, CEO of Combi Lift, explains: "We at Combi Lift are also very glad that the acquisition was made possible. Combi Lift will increasingly focus on demanding logistics challenges beyond the day-to-day business - just like the Gazprom Amur GPP Project in Russia - as well as special offshore, decommissioning and salvage projects. SAL and Combi Lift will complement each other in their abilities and share their know-how and expertise."